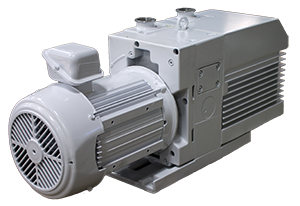 The Leybold D40B and D40BCS series pumps are the much-improved second generation of rotary vane pumps from Leybold. Unlike the Trivac A Series which was constructed with the shaft seal riding directly on the shaft, the B series features a shaft sleeve design that reduces repair costs. The Leybold D40B/BCS has the following specifications.